Bungie Redmond, WA, USA Bungie has certainly gone through some changes recently. Whether or not it wanted to be seen as such, their strong support of gaming on Apple systems with titles like "Marathon" made them the icon for Mac gaming. However, despite the support they received from Mac gamers, they suffered horribly from the rampant Apple pirating scene. With "Halo", Bungie found themselves on very shaky ground as the extraordinarily ambitious game was taking longer than they had expected was stretching their finances. Around this time the Xbox was announced and Bungie was approached by Microsoft. Bungie was offered not only the recourses to complete their game but to become the flagship developer of the new system. The rest is history. DestinySeptember 09, 2014Destiny is the newest franchise from Bungie and its ambitious successor to Halo. It is a first-person shooter for Xbox 360, Xbox One, PS3 and PS4 with elements of open-world sandbox and persistent world where humans are up against an alien threat see..
Halo 2 (PC)May 31, 2007 (US)All your favorites from Halo 2 for Xbox are now battling on your Windows Vista PC. Master Chief, Cortana, and the rest of the USMC face off against the Covenant with new multiplayer maps and Games for Windows - LIVE achievements. 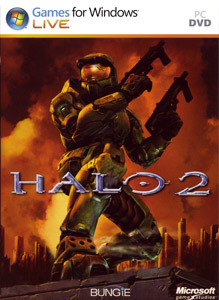 Halo 2 - Games ..
Halo 3Sep 25, 2007Bungie's popular first-person shooter makes its debut on the Xbox 360 with Halo 3. The epic saga continues with Halo 3, the hugely anticipated sequel to the highly successful and critically acclaimed Halo franchise. In this third cha..
Halo 3: ODSTSept 22, 2009Halo 3: ODST's tale focuses on the legendary ODSTs or "Orbital Drop Shock Troopers" as they drop into the ruined city of New Mombasa, looking for clues behind the Covenant's catastrophic attack on the city. Sgt Mgr. Johnson, the ..
Halo: ReachSep 14, 2010 (US)The Halo saga reached a dramatic climax with Halo 3, but the franchise did not end there -- not by a long shot... Halo: Reach, developed exclusively for Xbox 360 by acclaimed developer Bungie, is the blockbuster prequel to the be..
Fasten your seatbelts, get behind the wheel and make some laps on Race Pro exclusive for Xbox 360. ..